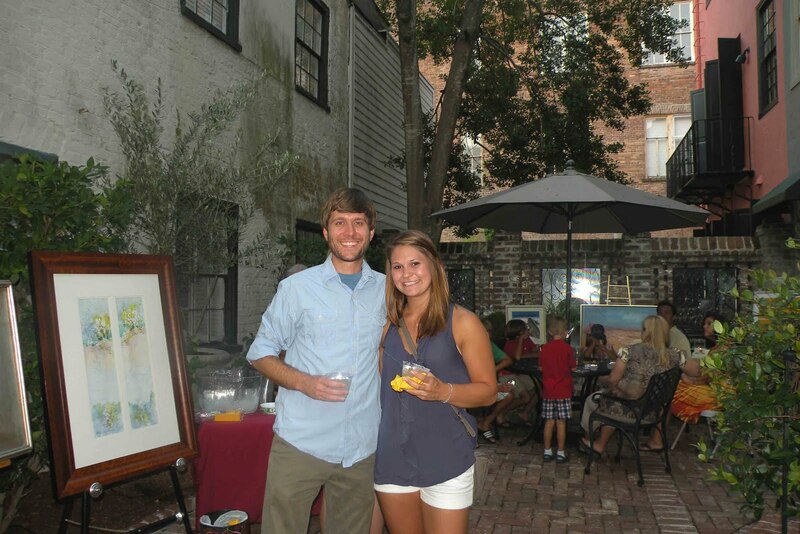 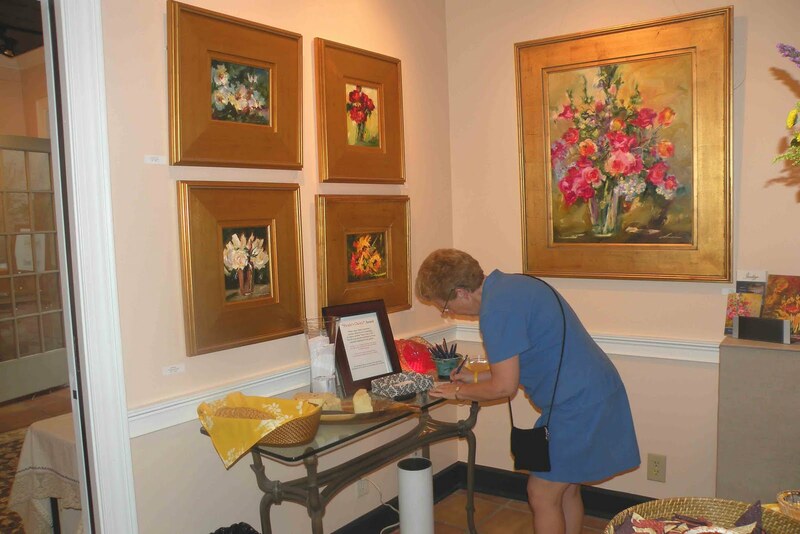 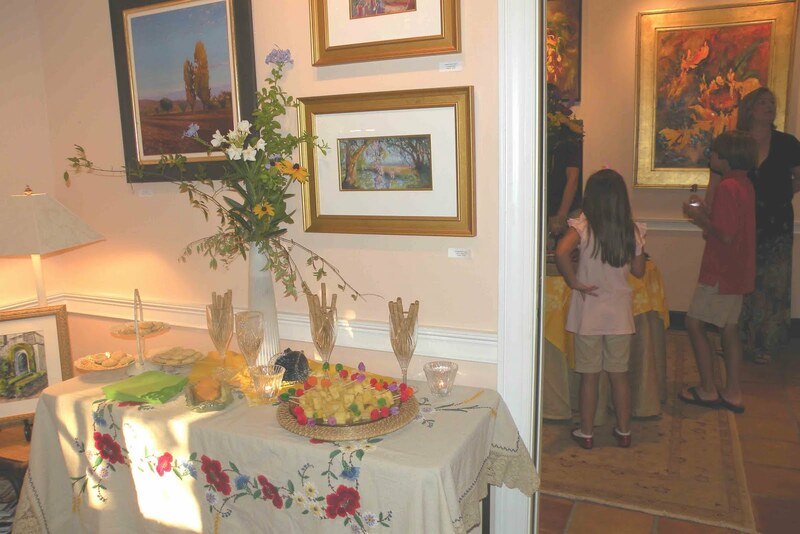 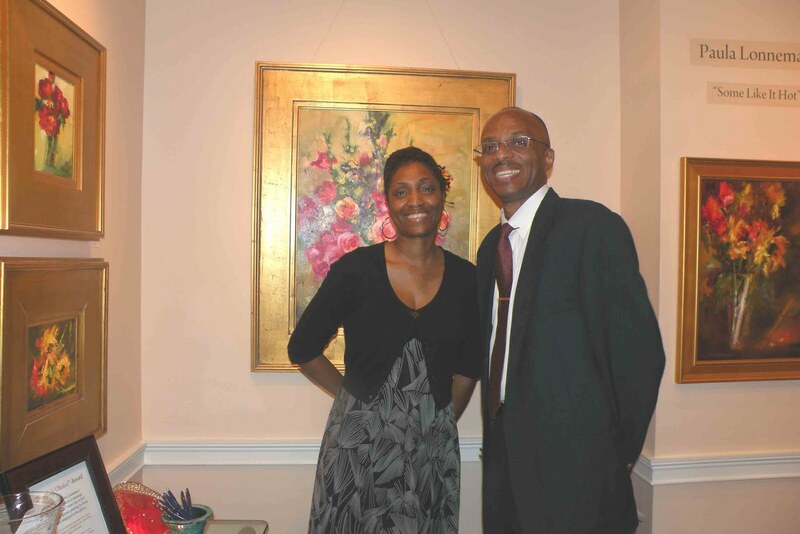 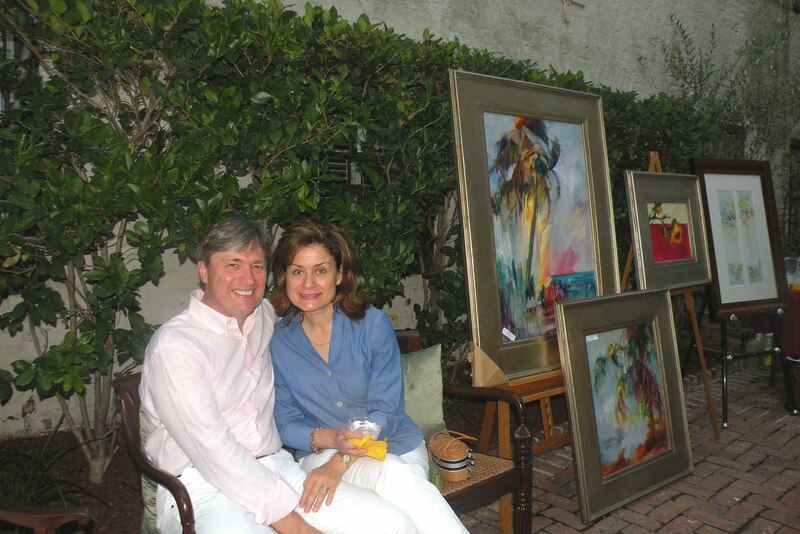 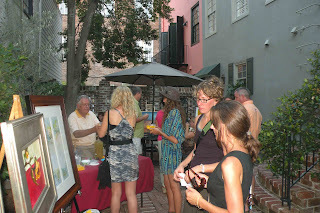 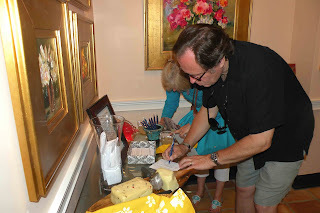 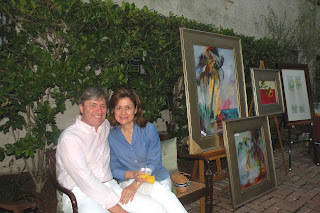 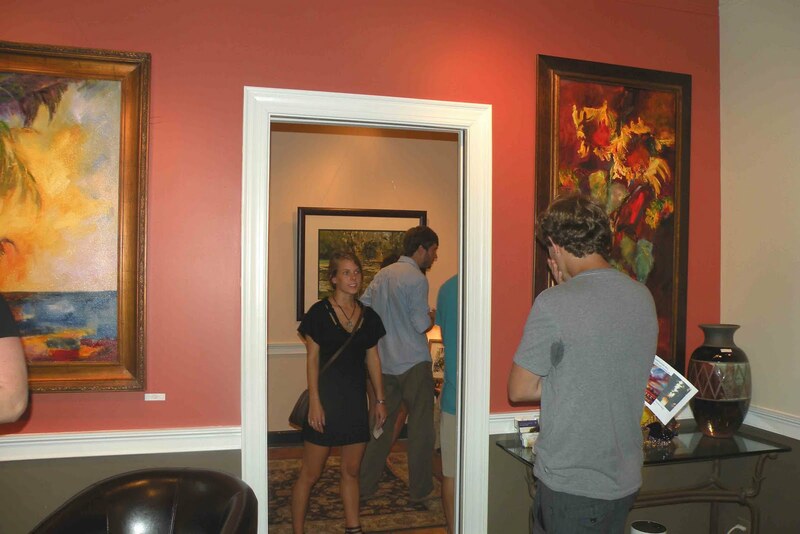 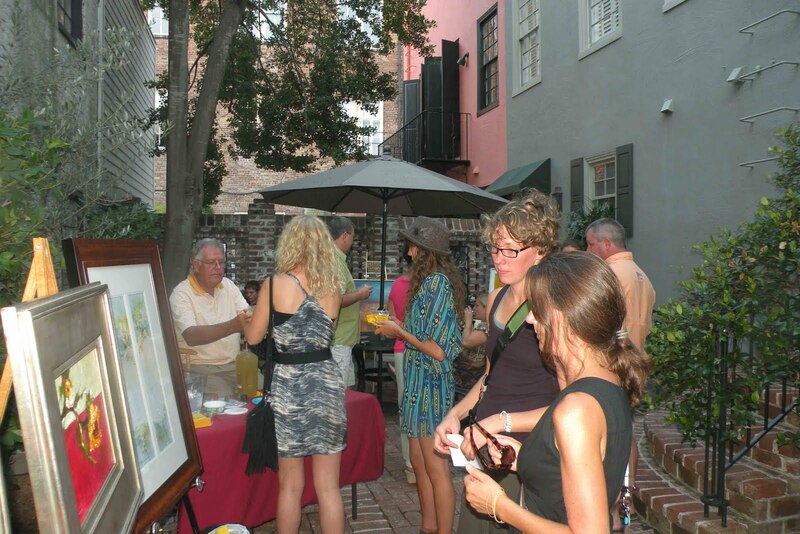 We celebrated Paula's latest collection of oil paintings on July1! 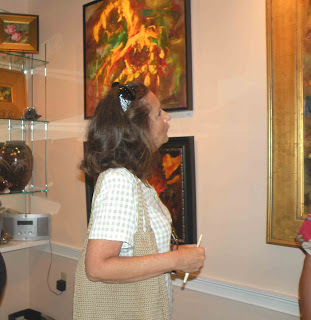 Her show was called "Some Like It Hot"..and it WAS that night! 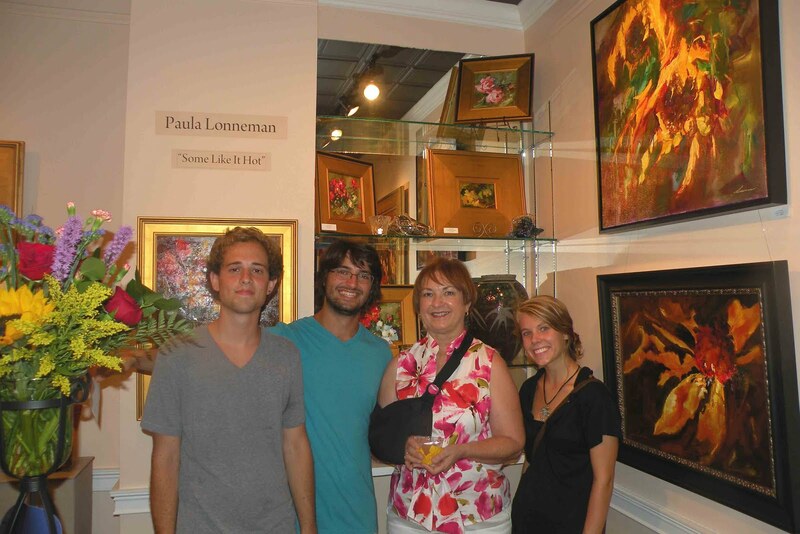 For those of you that didn't know this, Paula had just completed painting her series when she fell and broke what we thought was just one arm. 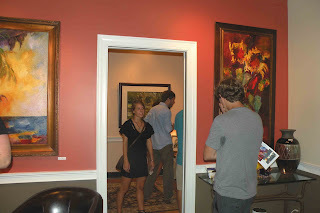 Turns out it was both arms (in the same place at both elbows)! By the night of her party, her doctor released her to remove one of the casts and the other one was in a sling. It made shaking hands with collectors a bit hard to do, but her infectious smile made everyone feel glad they came. Here are pictures from her big event!